Yeah it was on here when the deal was announced. Sky have exclusive rights from next year for 5 years. It's also the reason we haven't got F1 TV yet, unless liberty can agree something it looks like we won't get it for 5 years, don't you just love it? Yeah, its been common knowledge for ages. Was discussed at the time. There'll be no live races or highlights, sky has sole broadcast rights. Steve Jones made a passing comment about it when discussing the driver movements for 2019, something alomg the lines of "they'll be here next year, well we wont... but... "
Its a shame, i can see sky digging their heels in and not even doing a season now tv pass since they're not competing for viewers any more. Last edited by Seanie on Tue Aug 28, 2018 7:30 pm, edited 1 time in total. That is a shame. Sky also have exclusive rights to most of the Premier League football yet the BBC are still able to show highlights so I'd hoped that a similar deal could have been put together for the F1. Sky must be scared of the C4 coverage which I have to say is excellent! That will be a loss the team gels well and presentation is not forced Webber and DC know their stuff as well. I have Sky but find the coverage really bad. Always switch to CH4 when they have the races, better presenters and all round show. Just saying there is a channel 4 news thread that i bumped yesterday just beore this thread was created. I'm not sure if we need both. About this topic, I just seiously hope some freeview channel will d highlights. No free catch up of F1 will be very poor indeed. I thought the contract stipulated that Sky must show highlights on Free To Air - even if it's on Pick? If not I guess that will be me done with F1 because I am not paying for Sky - and I don't think I'm alone either. The wider question is whether this signifies an acceleration of the move away from free-to-air television in F1. In the UK, that question has already been answered. Under a deal struck by F1's former boss Bernie Ecclestone before he was ousted by Liberty, Sky will take on exclusive rights to F1 from 2019. There is a stipulation in the deal that the British Grand Prix is shown live on free-to-air, as well as highlights of all other races and qualifying sessions. But so far any stipulations that contract contains as to which channel it will be on, and whether it has significant reach, have not been made public. F1 has so far not responded to BBC Sport's questions on the matter. I pay enough for my TV package as it is (without Movies or Sport). I am not paying any more. I'll just find stuff to do every other sunday instead and I bet I won't miss it as much as I think I will. I'm not so sure in general. Like you say, the deal was signed before Liberty came in. I'm not convinced Liberty would have signed that same deal. It's a shame really. All I can think is that if no good quality highlights are shown, it will simply reduce the viewership in the UK or make people find less reputable means of viewing. So all round not good for f1 in the UK. I admit, I am lucky I subscribe to sky and get the F1 channel but I got it when I subbed for HD, my TV ariel doesn't work I need sky for normal TV. I was hoping that when Liberty took over from Bernie they would want to allow non pay per-view channels to share the rights to F1 like they do at the moment..... they talk that viewing numbers for F1 are falling and yet they are doing this? it makes no sense to me, yeah sure FoM are doing this from a business point of view but its crazy. I feel bad for non sky viewers as Channel 4's coverage of F1 is excellent. When this deal happened it was a sad day for F1. I'm still on this deal - don't think it's been available for quite a few years now though for new customers. Costs me £10/mth extra for HD subscription & F1 which I can just about stomach. If it goes higher I'll not be paying. I reckon they'd have loved to have extended Channel 4's deal, as it gets good ratings and is far more lucrative and benificial to the long term future of F1 in the UK than the pitiful numbers Sky will ever be. There seems to be a problem here. People are not watching F1 and its getting worse. Erm, anyone have a guess what the answer may be? Is it because the Great British Bake Off is back? So either Liberty are stuck with the deal as it was, or Liberty would have never signed the deal. Clear as mud... well, the viewing figures will fall and the advertisers will vote with their bucks. GREAT NEWS, Sky and Channel 4 have teamed up and will keep the highlights package! So do C4 have any live races next year or just highlights of all? Looks like they have the British GP only as a live race, all the rest just highlights. But at least highlights are better than nothing I suppose! Such a shame, as I honestly think the C4 team are better overall than the Sky team. Yes Steve, I would agree, its a better overall team, increasingly liking Karun Chandhok's perceptions. That is good news, depending on how long the highlights are. Still its something either way. It'll be Sky F1 crappy highlights won't it? I mean better than nothing but still a terrible deal for UK fans. Channel 4's coverage is lightyears ahead of Sky's, Sky's mantra seems to be quantity over quality, I'd rather have 45 mins of analysis than 2+ hours of chatting to anyone they can grab hold of in the pitlane. That's my concern. Is it a Sky highlights package or are C4 still going to employ Whisper Films to produce it? Can't seem to find anything online about it. Oh, I never really thought of it like that. When I read the BBC article I just assumed the C4 team would produce their own shows for each race, but the only one that would be live was Silverstone. If it is Sky highlights, then that's disappointing. But still better than nothing I guess for the next five years or however long it's going to drag on. Sky have exclusive rights until 2025 - so I doubt they'll be hiring in Whisper Films to produce an 45 mins - hour late Sunday night highlight show. They've got all the team there, and they'll be producing highlights for themselves anyway - it'll probably be the hourish re-runs that often show on their channel. Best we can hope for is maybe DC goes to Sky? At least sky have given a channel the outlet too show the hilights. Whether it's sky production. Whisper films production or something in between. When the initial announcement was made. Many believed that this would signal the end of formula 1 on mainstream tv. Atleast we now have what ever the deal is with channel 4 and sky have made. Until the contract with sky ends in what. 2022???. By then. The UK should have a stable platform of 5+ years of the f1 tv app for us to enjoy the formula 1 coverage live. At (hopefully) a reasonable price in what I can only hope can be in 4k with something superior to that of the f1 digital channel circa 2002. Just seen the below tweet suggesting C4 will do their own highlights. 2025 - 6 years away. 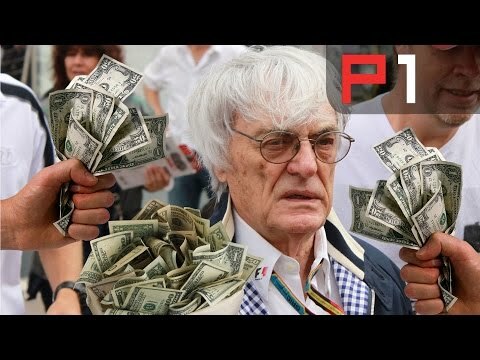 F1 could beam the races directly into your brain, but that might be enough to bring back the millions lost because Bernie saw $$$. I like watching F1 late on Sunday evenings, but I can imagine that unless its on before 8pm, its only going to damage the sport. Well, that is something. Hopefully it turns out to be true. DC wont go to Sky. Its his production company that produces the F1 show for C4. Although I've now seen on twitter that C4 will not be taking the Sky presentation so will probably continue with the Whisper Films production deal and DC. At the moment the deal is for 2019 only. Can't the title of this thread get changed? It is a bit misleading now. Anyway, I never remember it being confirmed that channel 4 wouldn't have highlights. Well, I've got to say when there appeared to be more mods on this site, things get dealt with very quickly. I think this great news, I applaud Sky & channel 4 for doing this deal. Also it keeps some very good people in jobs. Mod Edit: Offering less than legal ways to watch the coverage is not allowed. Sorry you think that mr mod, but what i said is certainly not breaking the law.